Read the motivational story about Alanna’s serious medical challenges and how Horses Changed Her Life! Lithe and athletic, Alanna Flax-Clark competes in para-equestrian dressage, which is guided by the same basic rules as conventional dressage, but with riders divided into different competition grades based on their fundational abilities. Alanna and her Dutch Riding Pony, El Paso are training for the Para National Championships in Tryon NC with the ultimate goal of competing in the 2020 Paralympics games in Tokyo. The Board of Directors of the EQUUS Foundation is proud to announce that the EQUUS Foundation awarded over $200,000 in grants to qualified equine organizations this year. The EQUUS Foundation awards small grants ranging from $500 to $5,000 to charities that undergo the EQUUS Foundation comprehensive and unique verification process and receive the EQUUS Foundation Guardian designation. Especially now, with the advent of the internet and social media, it is essential to make sure that organizations making appeals to potential donors and grant makers are fully transparent and operating at the highest standards. 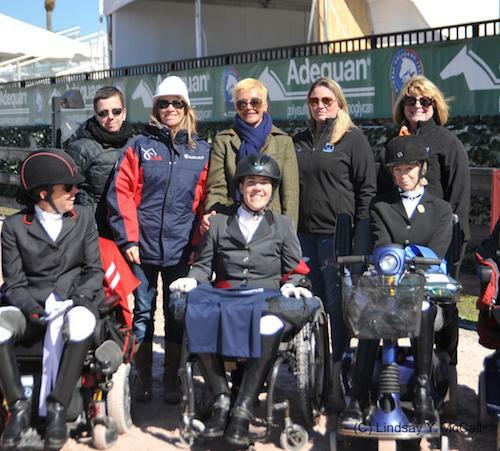 Wellington, FL – January 21, 2017 – Week two of the 2017 Adequan® Global Dressage Festival (AGDF), features CPEDI 1*/2*/3* Para Dressage, presented by Mane Stream courtesy of Rowan O’Riley, Mission Control, Adequan®, and Nutrena. Competition continued Saturday at The Stadium at the Palm Beach International Equestrian Center (PBIEC), in Wellington, FL. The CPEDI concludes on January 22 with a full schedule of classes beginning at 10 a.m., including Para Freestyle CPEDI 3* tests. The 2017 AGDF hosts seven CDI events, two CPEDI competitions, and national shows through March 25. 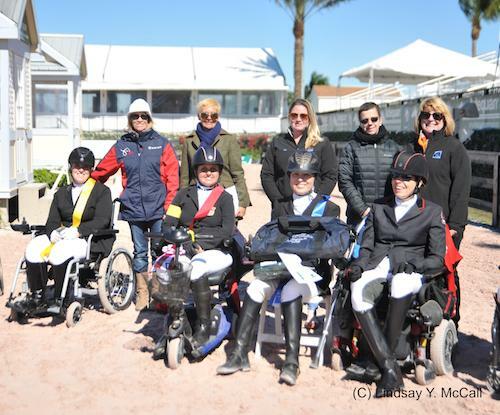 Wellington, FL – January 15, 2017 – Week one of the 2017 Adequan® Global Dressage Festival (AGDF), the Lloyd Landkamer Memorial presented by the AMCI Group to benefit Brooke USA, concluded its final day of competition on Sunday at the Palm Beach International Equestrian Center (PBIEC), in Wellington, FL, with a victory in the FEI Intermediate I Freestyle for Christoph Koschel (GER) and Ballentines 10. There is something relaxing about horseback riding. For individuals with disabilities, sitting astride a majestic animal and being led, gently, down a path or around a ring can have calming effects. The practice known as Equine Assisted Activities and Therapies is one of the programs offered at Mane Stream, a 44-year-old riding center in Oldwick that advertises “unbridled possibilities” for those with special needs. Mane Stream’s annual summer camp starts Monday, June 20, and needs volunteers aged 14 and up to work alongside their camp counselors and help with the campers throughout the day. ...The two $10,000 CPEDI3* shows were presented by Mission Control, Mane Stream, courtesy of Rowan O’Riley, Adequan®, and Nutrena. Mane Stream, located in Oldwick, New Jersey, is designated as a Premier Accredited Center of Professional Association of Therapeutic Horsemanship, International, (PATH). Mane Stream provides education, accreditation and resources for the equine assisted activities industry. Mane Stream announces the lineup of elite professionals who will be graciously donating their time to the “Triple Threat Clinic” benefit event being held from Nov. 5 to 7 at Red Tail Farm in Bedminster. This is a unique opportunity for equestrians of all levels who will receive individualized training in the fields of Dressage, Cross Country and Hunter Jumper. All who register have the option to learn from Olympic Dressage rider Michael Barisone on Thursday, Top International Eventing rider Sinead Halpin on Friday and World Champion Hunter rider Sandy Ferrell on Saturday. This program has two equine assisted options, each 10-weeks long starting mid-September, with a registration deadline of Aug. 15, where veterans can choose between Equine Facilitated Psychotherapy (EFP) or the Riding Boot Camp. When Linda Dietz, owner of Red Tail Farm and President of the Board of Directors at Mane Stream, heard that Randy Leoni was selling nearby Hawk Hollow Ranch that hosted the shows, she thought, "`With Randy leaving, who's going to have the shows around here?' And we had the space, so we built the arena." ... Mane Stream, specializing in adaptive horsemanship and equine-assisted therapies, will be holding an open house next Sunday from 10 a.m.-3 p.m. at 83 Old Turnpike Road, Oldwick. Those attending will learn how the facility's horses and instructors can improve the quality of life for people with physical, developmental, emotional and medical challenges. 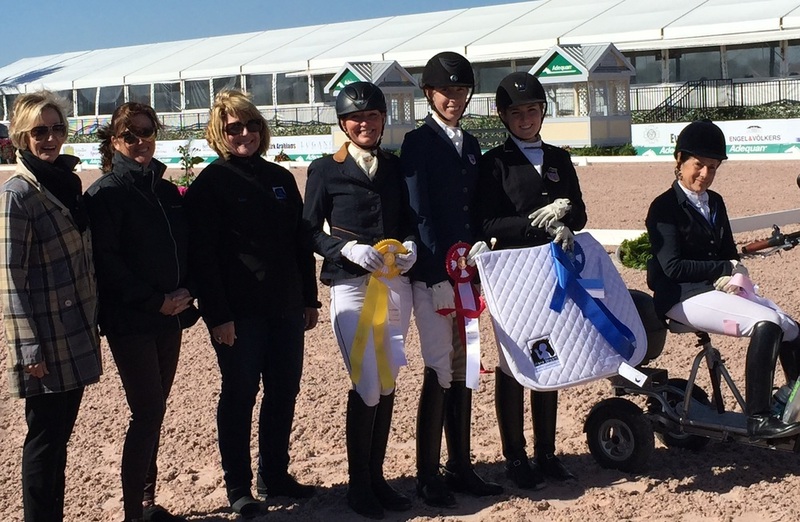 Catherine Haddad Staller, of Tewksbury Township and Rowan O'Riley's 13-year-old Oldenburg gelding, Mane Stream Hotmail, rounded out the USA II Team effort at the Nations Cup competition in Florida. Registration is now open for Mane Stream's Camp Cold Brook in Tewksbury/Oldwick, an inclusive horseback riding day camp for those with special needs, their siblings and their typically developing peers. Mane Stream, adaptive horsemanship and equine assisted therapies, is expanding in some exciting ways and will be hosting an open house on Sunday, April 12, from 10 a.m. to 3 p.m. at 83 Old Turnpike Road, Oldwick, for local residents to see and hear how equine assisted therapies and activities can improve the quality of life for people with physical, developmental, emotional and medical challenges. Mane Stream Hotmail has been bought by an amateur rider for Catherine Haddad-Staller to continue to ride with the goals of the World Cup Final in Las Vegas year and a place on the American team for the 2016 Olympic Games in Rio de Janeiro. Former Olympian and physical therapist at Mane Stream (Adaptive Horsemanship and Equine Therapies) in Oldwick, Ruth Nortje, will now provide combined physical rehabilitation and horsemanship sessions through a program for veterans with the launch of the “Take the Reins” program starting early February. Happily, Mane Stream (formerly Somerset Hills Handicapped Riding Center) in Oldwick made this short list, impressing the students by having improved the quality of life of hundreds of children and adults with a wide variety of physical, developmental, emotional and medical challenges since the early 70’s. Mane Stream, which offers equine-assisted activities and therapy in Oldwick, needs to replace 12 helmets as part of their normal rotation (they are supposed to be used only for five years because materials can deteriorate) and is accepting donations for that. On Nov. 15, at Hamilton Farm Golf Club in Bedminster, from 6:30-11 p.m., Mane Stream will honor Dr. Greg Staller and Catherine Hadded Staller for their generous and steadfast support of Mane Stream’s mission and the local equine community. "Take a Tall Walk with Me" celebrates Lucy’s brother but also serves as a tool for Mane Stream, an Oldwick-based nonprofit center that offers horseback therapy and adaptive riding opportunities for children with a range of mental and physical disabilities, by providing a fun and child-friendly introduction to its mission. When Zlotkin died in 2011, however, the program's future was in doubt. But Mane Stream, the Oldwick-based therapeutic horsemanship group, stepped in to take over.